Three days away from the big night, and our inboxes are getting swamped with invites. 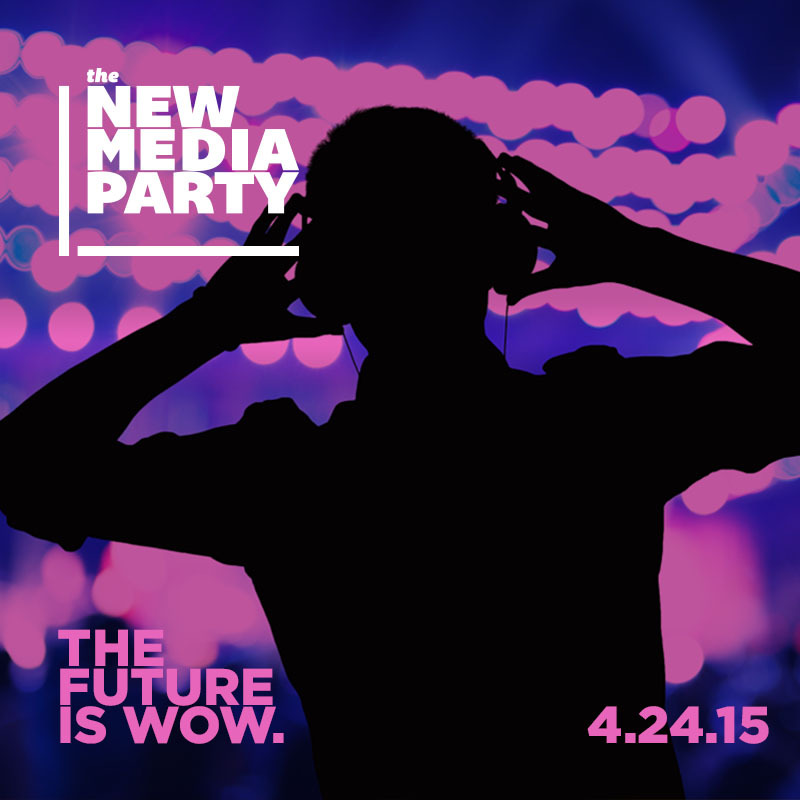 Among them: The New Media Party, which will be returning to The Carnegie Library on Friday, April 24. Content Globes: Content globes return to allow guests to download music tracks by tapping their badge on the globe while watching performances from Ghost Beach and DJ Sylo. Digital Gifting Wall: Replacing traditional event gift bags, a wall of tablets will offer guests their choice of digital giveaways again this year. Interactive Guest Experience: Event Farm will power the software behind the invitations, door check-in, digital badges and near-field communication technology. Facely The Robot: Facely is an interactive robot that will roam around the party and ask questions personalized to guests. Audio Cocktail Bar: Guests will be able to enjoy cocktails paired with music at the exclusive Audio Bar. Attendees will be able to choose their cocktail “mood” from a music track selection, which will then be paired with a cocktail made by DC celebrity mixologists Owen Thomson and Jason Strich. While drinks are being prepared, guests can enjoy a four-minute digital experience with music, storytelling and documentaries. Digitize Yourself: Using hologram and video projection mapping, guests will be able to generate 3D holograms. Guests can add their hologram to a live stream wall, which will create digital representations of guests orbiting around the room. The New Media Party is organized by Event Farm CEO, Ryan Costello, and HyperVocal founder, Lee Brenner — the founders of StartUp RockOn, which has thrown popular events at the RNC, DNC and the Inauguration. Costello and Brenner will be joined by honorary hosts John Zimmer, Lyft Co-Founder, Adrian Fenty, former DC Mayor, and Rep. Eric Swalwell (D-CA). The evening is sponsored by Lyft, Microsoft, AOL, GIPC, Viacom, Mobile Future, Zignal, Event Farm, HyperVocal, MeltShop, Events DC.